The stable outlook for sovereign creditworthiness in the Levant and North Africa in 2017 reflects the lower for longer energy price environment as well as the reform momentum in the region, despite political and security headwinds, says Moody's Investors Service. "Improving growth momentum and access to external funding sources under International Monetary Fund (IMF) programs in four of five countries in the Levant and North Africa supports our stable credit outlook for the region," said Elisa Parisi-Capone, vice president at Moody's. Moreover, the lower for longer energy price environment has provided further support to the region's gradual external rebalancing and has helped to offset subdued tourism, foreign direct investment, and reduced financial transfers from Gulf Cooperation Council (GCC) countries. Headwinds for the region remain, with risks to reform implementation remaining high in countries with a comparatively weak track record in government effectiveness, in particular Lebanon and Egypt. Persistent domestic and regional security challenges also continue to constrain sovereign credit profiles, albeit to varying degrees. Despite a series of negative shocks, Egypt retains the region's highest economic strength assessment, which reflects not only its scale but also its growth outlook compared to peers. Moody's forecasts Egypt's economy to grow by 4.0 per cent and 4.5 per cent in 2017-18, supported largely by private consumption, as well as increasing public and private investment. On the funding side, all countries except Tunisia benefit from dedicated domestic funding bases that reduce their reliance on external borrowing, even at high debt levels and gross financing needs which in 2017 range from 55.6 per cent of GDP in Egypt, to 30.8 per cent in Lebanon, 21.5 per cent in Jordan, 12.2 per cent in Morocco, and 9.4 per cent in Tunisia. Continued reform delays in Lebanon underpin the negative outlook and increase the risk that deficit and debt levels could approach levels that may no longer be consistent with current ratings. Moody's forecasts a deterioration in the fiscal balance in 2017-18 to 9.3 per cent and 9.9 per cent, respectively, with the debt ratio increasing to 144 per cent of GDP in 2018. In Tunisia, the negative outlook also reflects tighter external funding conditions arising from its substantial foreign-currency debt and funding structure. Egypt and Tunisia's current account deficits have deteriorated marginally over 2012-16 to 4.6 per cent of GDP and 8.5 per cent, respectively. 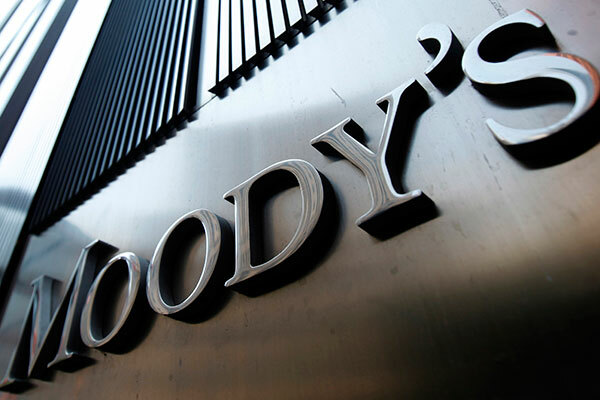 Moody's projects current account deficits of 7.5 per cent and 6.0 per cent in Egypt for 2017 and 2018, and 7.9 per cent and 7.3 per cent for Tunisia.